Legumes are a good source of protein and iron, like meat. They are also rich in fiber, in contrast to meat. If there is no meat on the menu, pay close attention to the adequate ingestion of iron (also in bread), vitamin B12 (found only in animal foods – is also found in dairy products) and vitamin D (also in dairy). Legumes are cheap compared to meat products. Voorbeelden van peulvruchten zijn doperwten, kikkererwten (denk aan humus), witte bonen (in tomatensaus), bruine bonen (chili sin carne), tuinbonen, linzen, maar ook de pinda is een peulvrucht. 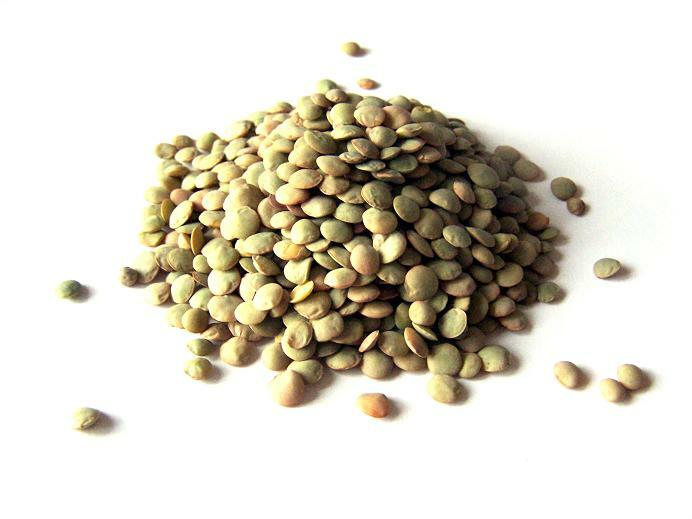 Dried legumes: Only the seeds are eaten (eg peas, beans, lentils and soybeans.). Dried legumes have to be soaked in water first in order to shorten the cooking time. It is even easier is to buy them canned or bottled, then they no longer need to be soaked. Whether they are buying dried or canned, you can keep them long and there is no need for cooling. Peanut: A peanut is then called nut, but it is actually a legume. Peanuts originally come from South America. Nowadays, peanuts are imported from China, India and the United States, Nigeria and Indonesia. Nutritive value and use: Peanuts contain many vegetable fats, proteins, vitamins B1 and B3. Peanuts are high in fat, much more than other legumes. We eat peanuts as a whole, in peanut butter, peanut-sauce or as crushed peanut oil (arachis oil). The table above perhaps might give you the impression that legumes-proteins are directly comparable with meat-proteins. Vegetable proteins are not the same as animal protein. In proteins are amino acids. Meat contains ALL necessary amino acids. Vegetable proteins contain not all of them, but pulses TOGETHER with cereals do so. So you have to eat in combinations. Brown bread with peanut butter or multigrain rice with beans. You do not have to eat the combination at the same time, but, for example during the day.